Meet Karla Kloeble, a dynamic and inspiring individual. Her passion for hula-hooping was sparked immediately upon her first encounter with the hoop. 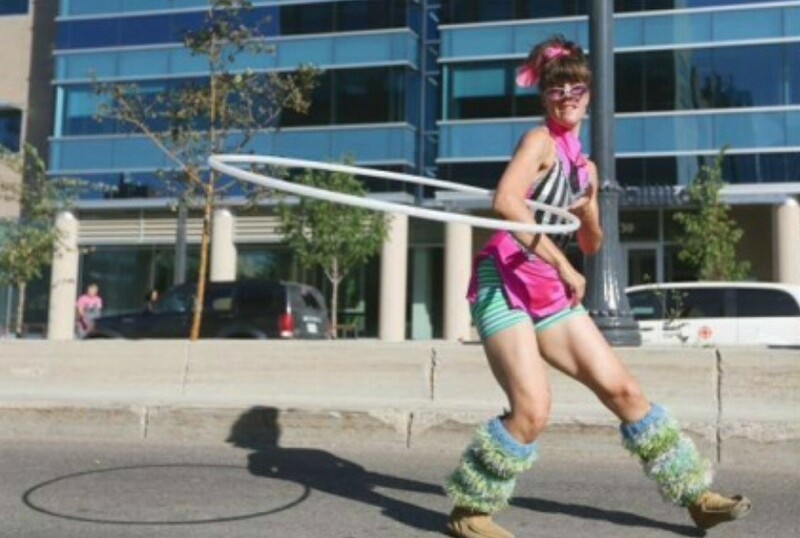 “My first experience with hooping was at a “hoop jam”. The room was over packed with an array of technical levels, displaying a universe of endless possibilities, preformed with elegant flow and an assortment of styles. The whole scene was mesmerizing, I was captivated” she says. Join Karla for a 30 minute show like no other! 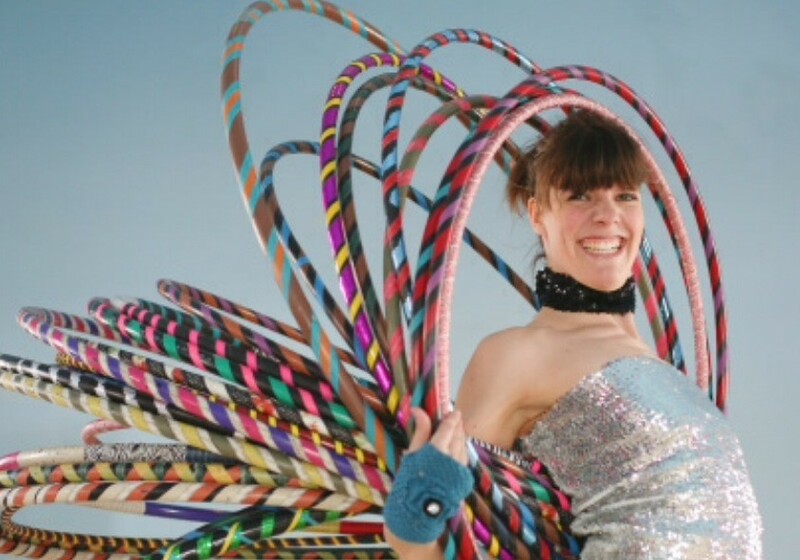 Kids will have a hooping good time watching and interacting with Karla as she performs as The Hula-HOOPSTER! Karla regularly performs, teaches hoop classes, hosts workshops, and entertains at birthday parties. With a long standing background in multidisciplinary dance forms, Karla embodies the movement of hooping like second nature. She is well acquainted with the physical mechanics of movement and executes teaching her students with reassurance, patience and positivity. On Thursday, June 19, Karla will perform in “The Circus of Life”, a dance theatre show created and presented by 4 bilingual (French/English) performers, each from a distinct artistic practice. The 60 minute circus cabaret show is a poetic glimpse into or behind the scene, of a fictional “out of luck” circus troupe. The ambiguity of whether this is the ‘real circus’ show, a rehearsal, or a metaphor for life is purposeful. Throughout the performance, the line between audience and actors, between reality and representations, between illusion and truthfulness is porous.